Also saw an earlier response of yours further up the thread about Aminatou, the Fateshifter and how you would be unable to protect her. How bout lands that make creature tokens such as Kjeldoran Outpost, Westvale Abbey Flip, Springjack Pasture and Urza's Factory. Not only would they protect her but they could also be used to protect you until you got your win cons going. DeviousPenguin666 on @%$# a goat! Nice deck! Also quite an... interesting name you've got for it xD. 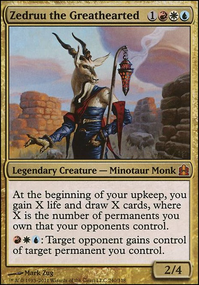 I do agree with Dragaan's suggestions of Trading Post and Springjack Pasture though, and I really don't think Evolving Wilds is necessary in a mono color deck. +1! Dragaan on @%$# a goat! I have tried Trading Post in this deck, but it didn't make the cut because it does what other cards in the deck already do, but slower and with less relevance. 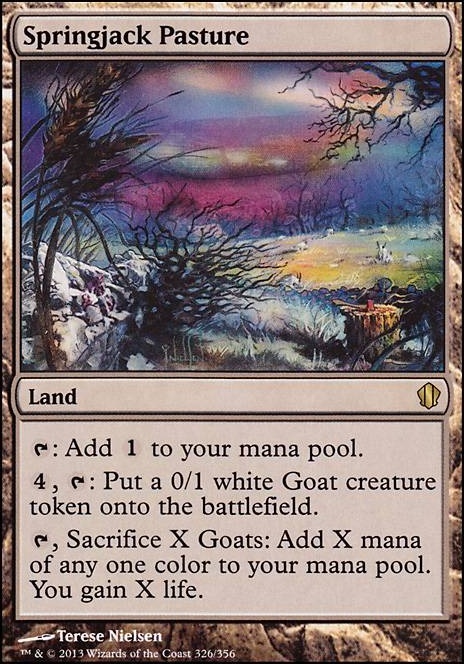 Springjack Pasture gives life/goats just as Trading Post does while still acting as a land and providing a method to turn goats into a burst of mana for the Angel Token win-condition. Springjack Shepherd conjures an immediate goat-storm for the same mana cost and can double as a control card via a sudden wall of goats, and provides instant value when returned to the field from the graveyard via Emeria, The Sky Ruin (which can't target Trading Post) or Emeria Shepherd. 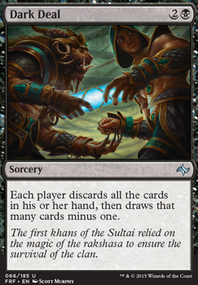 Trading Post in comparison, is a non-land card that drops a single goat per turn and has a heal that requires a discard (which is counter-intuitive to the base control strategy of matching your opponent card-for-card) and gives artifact versatility that is meaningless to this deck. My first thought is that you're not taking nearly as much advantage of Licia's cost-reduction ability as you could be. 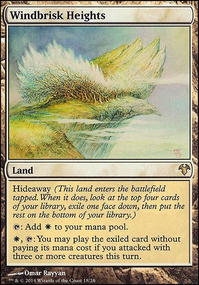 Lands such as Wind-Scarred Crag and Bloodfell Caves fix your colors, and their enter-the-battlefield-tapped drawback is mitigated by the fact that the lifegain makes Licia cheaper the turn they enter play. Radiant Fountain is basically a Dark Ritual in this deck! On a similar note, look for cards that give you an effect on top of gaining you life. Pristine Talisman effectively taps for two in this deck. Zuran Orb can give you a turn-3 Licia all by itself. Renewed Faith can either power out an early Licia or cycle in the late game for (essentially) zero mana. 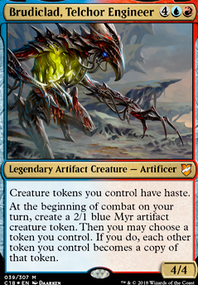 Vraska's Contempt essentially exiles any creature or planeswalker for the bargain price of BB. And so on.